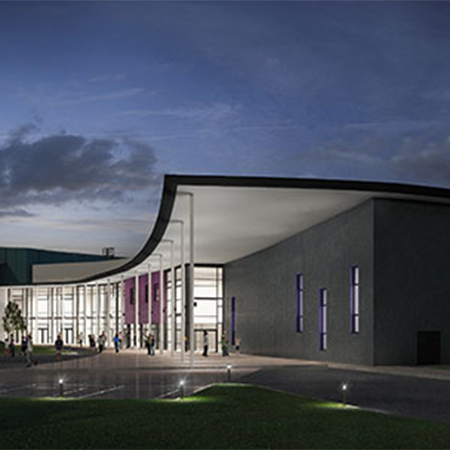 Working with roofing contractor Central Cladding, IKO Polymeric delivered the roofing project of Port Talbot’s £40m development, Ysgol Bae Baglan, the biggest single school infrastructure investment of Neath Port Talbot County Borough Council. 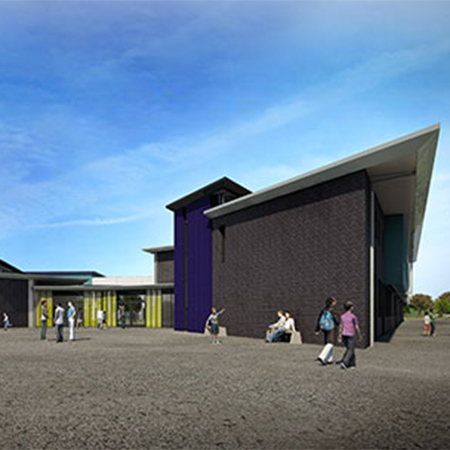 The building was designed to accommodate 300 primary and 1,100 secondary school pupils along with a bespoke facility for 100 pupils with additional learning needs. KO Polymeric’s Armourplan SM single ply membrane in light grey was a perfect match for the requirements of this project. The light grey colour choice provided a nice contrast with the dark shade of the façade which contributed to the building’s exceptional look. Having the membrane mechanically fixed also allowed extra resistance to wind uplift. 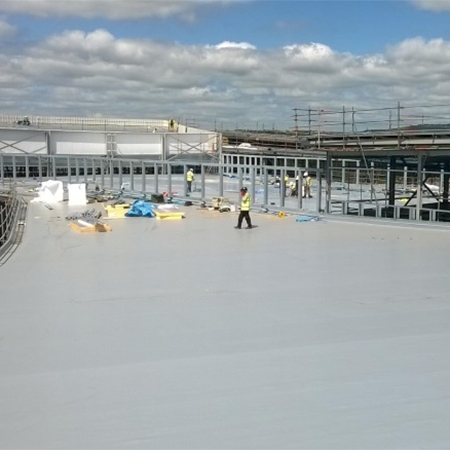 IKO Polymeric made all the wind calculations and provided Central Cladding with the recommended numbers of mechanical fixings that were required in different areas of the 5000m2 roof. With the help of the good workmanship of Central Cladding, Armourplan SM membrane provided a sleek and appealing finish to accompany with the outstanding look of this modern-build school.